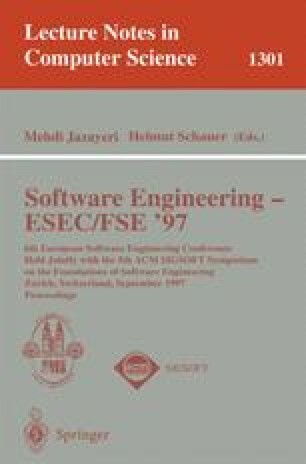 This paper describes new techniques to help with testing and debugging, using information obtained from path profiling. A path profiler instruments a program so that the number of times each different loop-free path executes is accumulated during an execution run. With such an instrumented program, each run of the program generates a path spectrum for the execution—a distribution of the paths that were executed during that run. A path spectrum is a finite, easily obtainable characterization of a program's execution on a dataset, and provides a behavior signature for a run of the program. Our techniques are based on the idea of comparing path spectra from different runs of the program. When different runs produce different spectra, the spectral differences can be used to identify paths in the program along which control diverges in the two runs. By choosing input datasets to hold all factors constant except one, the divergence can be attributed to this factor. The point of divergence itself may not be the cause of the underlying problem, but provides a starting place for a programmer to begin his exploration. One application of this technique is in the “Year 2000 Problem” (i.e., the problem of fixing computer systems that use only 2-digit year fields in date-valued data). In this context, pathspectrum comparison provides a heuristic for identifying paths in a program that are good candidates for being date-dependent computations. The application of path-spectrum comparison to a number of other software-maintenance issues is also discussed. This work was supported in part by NSF under grants CCR-9625667, MIP-9625558, and NYI Award CCR-9357779 (with support from HP and Sun), and by DARPA (monitored by ONR under contracts N00014-92-J-1937 and N00014-97-1-0114, and by Wright Laboratory Avionics Directorate under grant #F33615-94-1-1525). The Wisconsin Alumni Research Foundation is in the process of seeking patent protection for the ideas described herein.